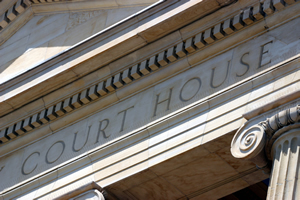 Alvarez-Glasman & Colvin is extremely pleased to announce that the California Court of Appeal has issued an opinion unanimously upholding a judgment in favor of the City of West Covina. The underlying lawsuit was filed by Steven and Deborah Lynn against the City of West Covina and the California Department of Transportation. Richard H. Lam of AGC obtained a dismissal of the lawsuit after successfully arguing to both the Los Angeles Superior Court and the California Court of Appeal that the claims against the City of West Covina were without merit. The case centered on Piano City, a retail establishment owned and operated by Steven and Deborah Lynn, located at 210 North Sunset Avenue at a freeway off-ramp which forms a T-intersection with West Garvey Avenue. The Lynns claimed the City of West Covina ("City") and the California Department of Transportation ("Caltrans") were responsible for severe physical damages and significant diminution of market value to their real property caused by vehicles exiting the interstate 10 freeway. Cars exiting the freeway must make a right angle turn at the end of the ramp to avoid hitting the Lynns' property. Between 1998 and 2001, there were several vehicles which failed to successfully negotiate the T-intersection and collided with the Lynn's real property. In 2003 and 2005, Caltrans improved the Sunset Avenue exit by removing brush and trees, enlarging the pavement turn arrows, using more reflective paint, and relocating the turn warning signs closer to the ramp entrance. However, in May and August of 2007 there were two more vehicle collisions. The Lynns approached the City and obtained a building permit to construct a barrier wall in front of their real property. After the barrier wall was completed, yet another vehicle failed to negotiate the T-intersection and collided with the newly built wall. On April 1, 2008, the Lynns sold the property for $2.9 million, $700,000 less than an original offer. On September 29, 2008, the Lynns submitted a government damage claim against the City in the amount of $1.4 million, which the City rejected. Thereafter, the Lynns filed a civil lawsuit against the City and Caltrans, alleging causes of action for inverse condemnation, dangerous condition of public property, and nuisance. The City filed a demurrer to the Lynns' complaint based on issues of proximate causation and failure to comply with the applicable statute of limitation. Judge Robert Dukes of the Pomona Superior Court sustained the City's demurrer, but allowed the Lynns to amend their complaint. The Lynns filed a First Amended Complaint and again the City successfully demurred. Rather than amending, the Lynns elected to submit a judgment of dismissal which was approved by the trial court. The Lynns then appealed the judgment. On appeal, Mr. Lam filed a brief in defense of the City's position based upon several legal grounds. Specifically, Mr. Lam argued that the Lynns' cause of action for dangerous condition of public property was barred by the applicable statute of limitations and government Tort Claims Act. Additionally, Mr. Lam argued that the Lynns' complaint failed to state a cause of action for inverse condemnation because they were unable to allege a causal connection between the drivers of the vehicles and the damage to the Lynns' real property. The Court of Appeal agreed with the City's position. On November 30, 2010, Associate Justice Kathryn Doi Todd authored an opinion affirming the trial court's judgment of dismissal of the entire case against the City. The Court of Appeal's decision also entitled the City to recover its costs on appeal. This decision effectively ends the lawsuit, unless the Lynns petition the California Supreme Court for review before January 9, 2011. A copy of the opinion can be accessed by clicking here. Alvarez-Glasman & Colvin is a full service law which specializes in all aspects of tort defense, real estate law, land use, municipal law, redevelopment, and environmental law. Should you have any further questions about this case or any related matters, please contact AGC attorney Richard H. Lam by e-mail at rlam@agclawfirm.com, or by phone at either 707.944.0540 (northern California) or 562.699.5500 (southern California). A demurrer is a legal objection which challenges the sufficiency of a complaint, typically filed at the initial stages of a lawsuit. Associate Justice Judith M. Ashmann-Gerst and Presiding Justice Roger W. Boren concurred in the opinion.